A wardrobe style closet system doesn't need to shrink the room or make it feel crowded. The experienced designers at Closet Works can create a wardrobe closet with drawers to fit your needs without overwhelming the space! 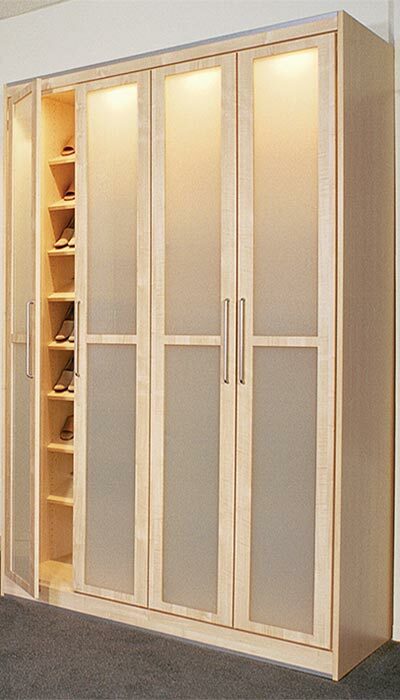 This modern wardrobe closet features a light wood tone finish and glass panel inserts on all the doors and drawers to create a Euro vibe and set a contemporary feeling throughout the room. 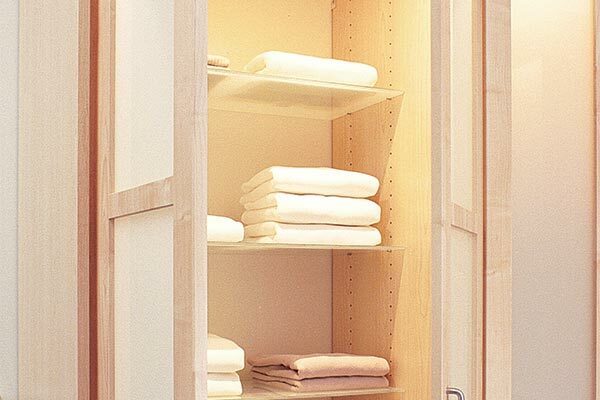 A wardrobe closet with drawers can add extra organization anywhere in your home. 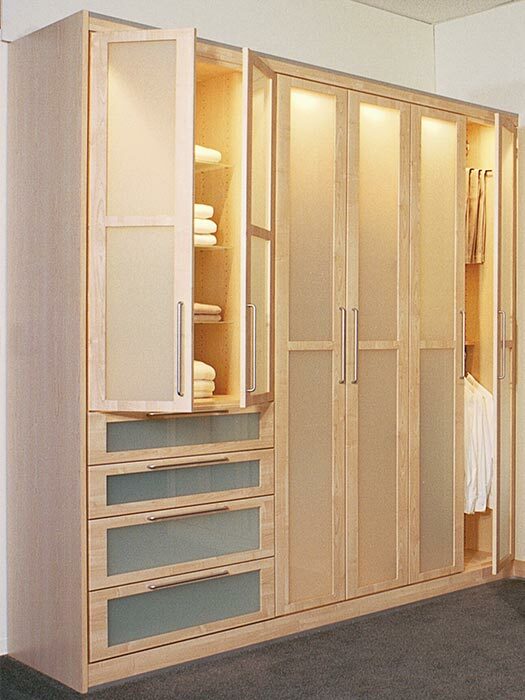 The airy design of this custom comtemporary wardrobe in light wood tones causes it to feel as though it hardly takes up any space in the room. The frosted closet doors and drawer fronts add to the light weight sensation and the simple straight lines further the modern, European aesthetic. Interior puck lights and glass shelves add to the etherial concept surrounding these enclosed, master closets. The system consists of two wardrobes — one for him and one for her. A tall door hides a bank of angled shoe shelves, keeping all the footware ready and neatly organized. Shelves, drawers and hanging rods provide enough places to put things so that no other standard built-in closet is required for homeowner storage — a definite bonus for a room with no other closets.